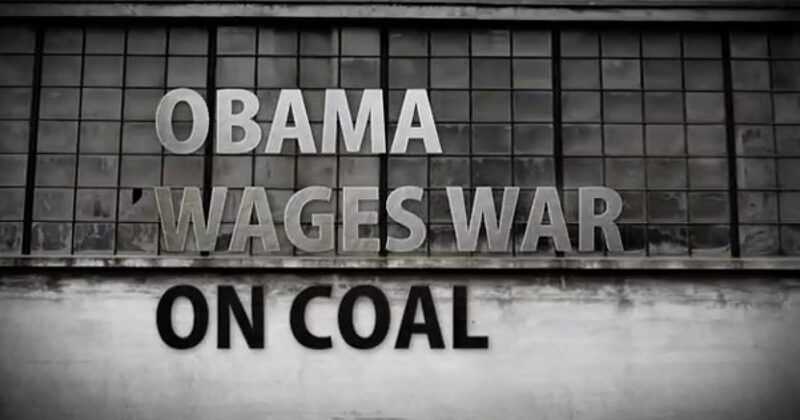 How predictable — after facing worldwide criticism for his failed Syrian policy, President Obama is keeping his climate change red line that will bankrupt the coal industry. According to news reports, the EPA will soon issue a revised proposed rule that will limit the amount of greenhouse gases from new power plants. The proposed standard for carbon dioxide emissions is expected to be between 1,100 to 1,400 pounds per megawatt hour which is less than the 1,800 pounds released by existing coal power plants. The proposed rule is expected to include a provision that would allow power plant operators time to incorporate carbon dioxide capture technology to reach the new standard. A new rule for existing power plants is also expected to be released this year. The rules, the subject of intense lobbying by the industry, are under review by White House officials, and could be reworked before the Sept. 20 scheduled release. The revised standard would retain a provision letting utilities phase-in the capture technology over time, one person said. Relying on carbon capture to limit coal emissions is challenging because the technology is unproven and it’s too expensive, according to the industry. The EPA rule is a backhanded way to end the future use of coal-based power plants and replace them with natural gas generated electricity via regulatory fiat. The free-market, not Obama, should determine how electricity is generated. After getting pushed off the international stage by Vladimir Putin, Obama must have felt the need to flex his regulatory muscle on the beleaguered coal industry to generate favorable headlines.